One of the latest apple offerings to emerge from New Zealand has wasted no time making its mark in Vietnam. 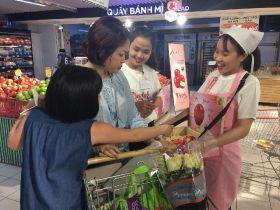 Exported exclusively by Golden Bay Fruit (GBF), Cherish apples were officially launched in the Asian nation in July, with promotions taking place across Big C stores over the month. The first commercial volumes of Cherish have been harvested over the current 2018 season, with around 100,000 pieces of fruit exported from GBF's orchards in Motueka, on New Zealand’s South Island. Production is set to ramp-up significantly in 2019, with ten-times more fruit to come directly from GBF orchards alone. “Onwards, volumes should grow rapidly,” Meikle noted. 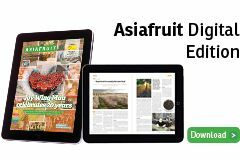 Cherish apples have been exported across the globe this season, with a particular focus on Asian markets such as China, Thailand, Singapore and now Vietnam. To support the launch, dedicated sampling sessions have been organised by GBF in close collaboration with large retailers across Asia. “This also gave us the opportunity to gain consumers’ feedback on Cherish,” said Julien Baumann, GBF's business development manager for South East Asia. “The feedback was extremely positive with customers enjoying its sweet tropical taste, and the intense pink colour of its skin. After the successful launch of its UK office five years ago, GBF has moved to replicate this strategy in South East Asia. The grower-packer-exporter opened its new Singapore office in early June to service its customers in the region. “This illustrates the strong focus of GBF to be closer to its customers across the globe and provide better, customised services,” said Baumann. Baumann was previously the head of food imports at Central Group Vietnam. His role will initially focus on managing and developing GBF’s business in the region’s key markets, along with launching and developing new exciting varieties, including Cherish apples, Piqa Boo pears, and a yet to be named sweet green apple variety.